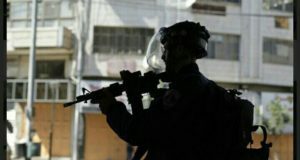 On the night of the 12th March, Israeli forces invaded the village of Burin and arrested a 21 year-old man in his house. This arrest is part of a wave of arrests and repression of the village by Israeli forces since al-Manatir neighbourhood was established on a village’s hilltop in early February. The hilltop, threatened of confiscation by Israeli settlers and military, has been inaccessible to Palestinians since 2007. 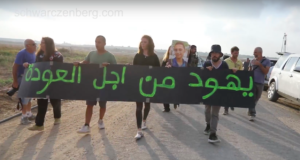 Last February, dozens of Palestinians activists established Al-Manatir neighbouhood but the protest camp was soon attack by settlers from Yitzhar and Bracha settlements and evicted by Israeli forces. Seven people were violently arrested, three of them remaining in prison for twelve days. 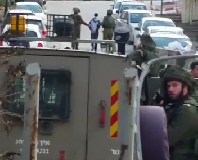 In addition, a young Palestinian boy was shot with live ammunition in the leg by a settler. Since then, six people from the village have been arrested; two of them are still in prison. Muntasser Mahmoud Eid was taken blindfolded from his house at 2pm and is currently being held in Jalama prison. The arrest was made after confrontations between Palestinian youth and Israeli forces erupted on the hilltop. Israeli army prevented Palestinians from accesing the hilltop by shooting tear gas canisters at them. Afterwards, at night, at around 2pm, several military jeeps inavaded the village and entered Muntasser’s house; tearing him in hi sleep. 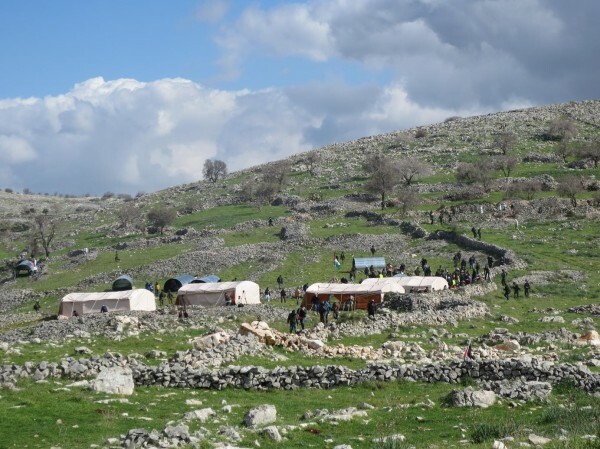 It is expected that more arrests will be made in the following weeks as Israeli authorities clearly want to crush the village’s popular struggle against the occupation. 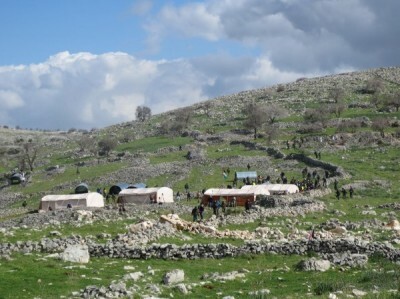 The Village of Burin, situated in between two of the most violent and fundamentalist settlements in the occupied West Bank, Yizhar and Bracha, has been facing constant harassment, intimidation and violence by both the settlers and the Israeli army for years.